In what appears to be the first successful case of a criminal prosecution for mother-to-child transmission of HIV in the US (a Canadian woman was prosecuted under similar circumtances in 2006), a Florida woman has been sentenced to two years' probation after she pleaded guilty to felony child neglect. She had faced up to 15 years in prison, but "prosecutors agreed to the deal because sending her to prison would significantly hinder her ability to care for him financially in the future." I've included two articles from the Herald Tribune here: the first details her sentencing and the second, from January, goes into more detail of how and why she was arrested in the first place. MANATEE COUNTY -- As part of a plea deal approved this afternoon, an HIV-positive mother will serve two years of probation for not taking medical steps to decrease her son's risk of getting the virus that causes AIDS. Cecelia Sliker, 37, pleaded guilty to felony child neglect and had faced up to 15 years in prison. Instead, she will serve probation only. She must also find a job and is required to take health and parenting classes. Investigators said Sliker did not get the boy, who was born in 2004, proper medical care because she did not want her son's father to know her HIV status. Prosecutors agreed to the deal because sending her to prison would significantly hinder her ability to care for him financially in the future. HIV can be transmitted from mother to child during pregnancy, delivery or after birth. Proper medication can prevent infection. The boy eventually developed AIDS, authorities said earlier this year. His health now appears to be stable, witnesses told Judge Circuit Judge Debra Johnes Riva. BRADENTON -- Cecelia Ann Sliker knew she was HIV-positive before her son was born in 2001, and authorities say she followed the steps to block the transmission of the deadly virus. Three years later, Sliker had another boy. But this time she ignored medical attention, fearing she would draw ire from the father, Manatee County sheriff's detectives say. Authorities say Sliker did not get the boy care -- exposing him to risk -- because she was keeping her HIV status secret from her younger son's father. Sliker's 3-year-old now has AIDS. 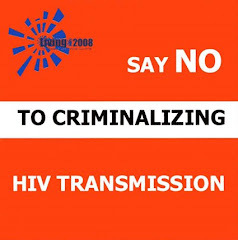 Sliker, 37, was arrested this month in Sarasota on a felony-level child neglect charge, a rare prosecution considering that the number of pediatric HIV and AIDS cases has fallen considerably across the country since the beginning of the epidemic. "As far as I'm concerned this is total neglect and irresponsibility," said Richard Trifari, community health director at the Michael C. Bach Treatment Center in Bradenton. "This is mind-boggling. There is no excuse for this." Authorities and AIDS experts said Thursday that medical attention before birth and after would have considerably reduced the chance of transmission and possibly eliminated it entirely. The support network for HIV-infected pregnant women is widespread, and the medicine is free, Trifari said. Sheriff's officials declined Thursday to address specific details of the investigation because the case is open. Also, federal laws protect patient privacy and make medical records confidential. Whether Sliker's doctors were aware she was HIV-infected in 2004 was not immediately known Thursday. Children Medical Services, a division of the state health department, documents HIV-infected pregnant mothers and provides care for children with special health needs. But physicians cannot force a pregnant woman to take an HIV test, according to several experts in AIDS prevention. Sliker, a New Jersey native who has lived in Sarasota and in Bradenton in recent years, was booked Wednesday at the Manatee County Jail with bail set at $25,000. She could not be reached for comment. The Manatee County Sheriff's Office child protective service unit began a child neglect case in April, according to charging documents released Thursday. But it was not immediately clear how protective services got involved -- whether, for instance, a relative or friend anonymously phoned in a complaint. A Manatee County sheriff's deputy who was called out to Sliker's house in Bradenton said the younger boy appeared in good health. His room was clean. There was food in the refrigerator. He said the boy had a cough and that his mother gave him cough medicine. The boy's uncle told the deputy he believed his nephew had been tested for HIV and that he did not have the virus. The uncle said he had never seen Sliker give the boy any medicine other than over-the-counter medicine for colds. Sheriff's reports did not say when Sliker found out she was HIV-positive. But a detective said Sliker knew she before the birth of her first son in 2001. Authorities said Sliker followed up with proper care after that pregnancy -- medication and doctor's appointments -- and the boy did not develop the virus. HIV can be passed on from mother to child during pregnancy, delivery or afterbirth -- during breast-feeding, for instance. Early intervention is critical in reducing the risk of transmitting the virus. Without the medication, a newborn has a 30 percent chance of contracting HIV. The number of AIDS cases attributed to mother-to-child transmission has decreased dramatically in recent years, from 118 reported cases in 2001 to 67 in 2005, according to the federal Centers for Disease Control and Prevention in Atlanta. In Manatee County, only a couple of cases have been reported in recent years, said Trifari of the Michael Bach Center, an HIV/AIDS patient care center in Bradenton. Most HIV-infected women know they are carrying the virus that causes AIDS before giving birth, according to the CDC. "Most of them get great prenatal care," said Susan Terry, director of the Community AIDS Network in Sarasota said. She called the transmission of HIV "extremely preventable." In the United States, about 100 to 200 infants are infected with HIV annually, according to the CDC. Women who were not tested early enough during pregnancy or who did not participate in prevention services make up the bulk of the cases. "Why wouldn't someone want to make sure they were doing everything possible?" said Maj. Connie Shingledecker of the Manatee County Sheriff's Office. Shingledecker, a longtime child welfare advocate, said mothers should be told early on that criminal charges are possible if appropriate care is not provided.